The new Netflix show "Fauda" follows an Israeli soldier as he hunts his enemy — a Hamas terrorist. It's also a rare lens into the Israeli-Palestinian conflict. And it has audiences on both sides of the green line glued to the screen. As It Happens speaks to the show's co-creator and star, Lior Raz. As a younger man, Lior Raz worked in a top secret unit of Israel's special forces. 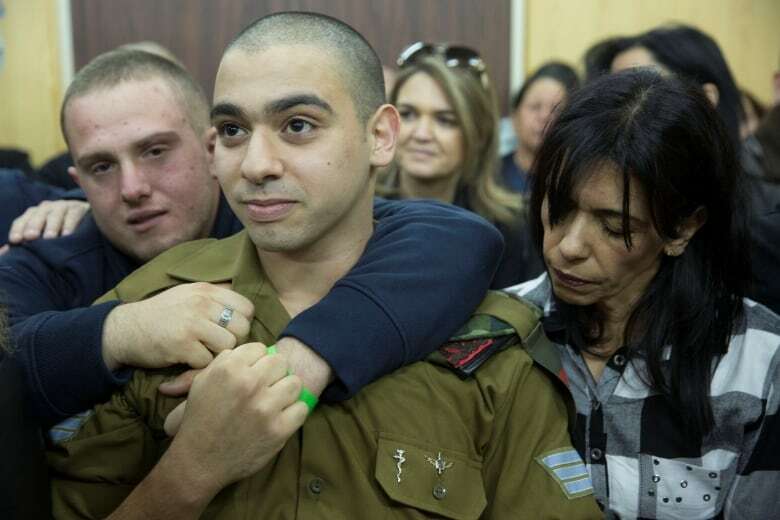 Like so many Israelis, he joined the military as soon as he was eligible. Back then, it was unlikely anyone would recognize Raz on the street. That all changed when he retired from the special forces to co-create and star in his own TV show. His show is called Fauda — and it's become a breakout hit series in Israel. It recently made its premiere on Netflix for North American audiences. 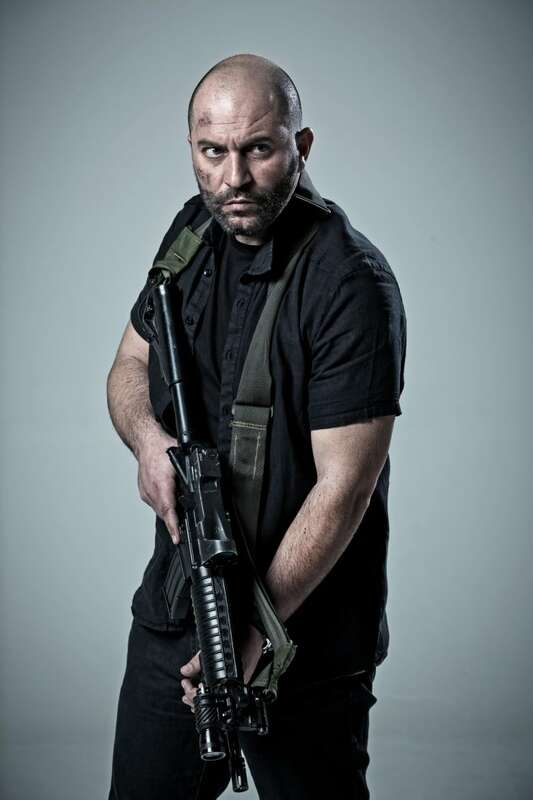 It follows Doron (played by Raz), an officer who comes out of retirement from the special forces to carry out one last mission: to find and kill a Hamas terrorist. But Fauda doesn't just focus on Doron and his Israeli colleagues. It also turns the lens towards the personal lives of Palestinians. As It Happens guest host Helen Mann spoke with Lior Raz for a feature interview. Helen Mann: Where does the name Fauda come from? Lior Raz: In Arabic, "fauda" means chaos. In the late 1980s, early 1990s, there was the first intifada that began in Israel. The Arab population started to use this word "fauda" as a symbol for "let's go out and demonstrate." But on the Israeli, undercover side, soldiers started to use "fauda" when someone discovered they were Jews or Israeli, and when they got burned. They would call on the Walkie-talkie and say "Listen, we have fauda." This was the code for the rescuers to come. HM: The character you play, Doron, has a similar résumé to your own. How did your experience affect the writing of that character in particular? LR: I think we have a lot of things in common, and a lot not in common. You know, I'm a very sensitive guy. I'm an actor. And Doron is a warrior. All his life, he's been a warrior. He's addicted to adrenaline and to his work. The thing we're similar on is that we're taking things and going to the end, very hard, and with no compromising. And I was in the special forces, of course, and I did a lot of stuff in my military service that affected my family, my mother, my father. And it's the same with Doron. When you're in a war zone, you pay the price. 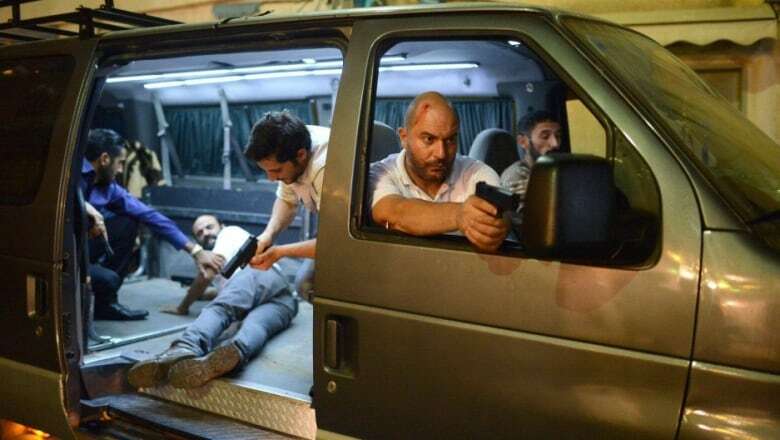 HM: Besides following Doron and his colleagues in this special unit, Fauda also shows us a close-up vision of the lives of the Hamas terrorists Doron is trying to kill. Specifically, a fictional character by the name of Abu Ahmed. Who is he? LR: Abu Ahmed is a terrorist who has killed 116 Israelis. But we wanted to show him as a round character, not just as a flat character. In our show, he has a family. He loves his kids. He loves his wife so much that sometimes he's making mistakes because of that love. I think between Doron and Abu Ahmed there are similarities. Neither of them see the price that people pay because of their actions. [Viewers] in Israel loved this terrorist and they didn't understand why. HM: And it isn't just his character. It's other Palestinian characters as well. Why was it so important for you to tell both sides of the story in such a personal way? LR: We were in the writer's room, and I said to everyone, "Listen, I want to be able and I want to want to play each and every character in this show. And in order for that to happen, they're supposed to be well-rounded and have a life of their own." In Israel, people don't know the other side so well. You know, I'm sitting here in Tel Aviv and 10 minutes from me there's a Palestinian city. But people barely think about it. They don't want to talk about it. We wanted to show everyone what's going on there. HM: There's an episode where we watch family member exact revenge on your unit, carrying out a suicide bombing. You dedicated that episode to a woman named Iris Azulai. Who was she? LR: Iris Azulai was my girlfriend when I was in the army. We were together for three years. One morning, she went out of her house, and a terrorist came from Bethlehem and stabbed her to death. Her and two other people. She was my first love. It was very hard for me. And actually, I didn't talk about it for 20 years, until we started to write the show. There was a big wound that stayed in my heart ... We say something [in Hebrew], that this show was written in blood. [The blood of] our friends, my girlfriend. I think there are so many small stories in this show, that are based on a true story that happened to us. HM: This is such a complicated topic for a dramatic television series. How was it received by viewers in Israel when it first came out? LR: First of all, nobody wanted to take the show. In the beginning, I thought just my mother would see this show. But now it's the biggest show in Israel. People from all sides of the political range love this show, and we were amazed about it. We thought people would be angry about us. But Arabs, right-wings, left wings — everybody loves it. HM: Were you surprised about how popular its become among Palestinian viewers? LR: Yeah, I was shocked. I didn't understand it in the beginning why they loved it. But we love their language. I love Arabic. We took care of their language in a very dedicated way. We honoured their language and we honoured their narrative as well. It doesn't mean that I understand it, or accept it. I'm Israeli, I'm Zionist. But I know and can understand that there are other people with their own opinions and their own life. HM: There are some pretty ugly, violent incidents committed in Fauda, and some of them are committed by your character and his colleagues. There's kidnapping, torture, a child is used in one operation. Were you trying to reveal something uncomfortable to Israeli viewers in those kinds of scenes? LR: No. I think that, we didn't do any violent things just because of violence. Everything is just reaction. And I want to tell you something about the mista'arvin unit. This probably sounds odd to you. But instead of bombing houses and hospitals, this unit is sending four or five people to take out just one person. These soldiers risk their lives instead of bombing and killing innocent people. This is why this unit was created. HM: [On Wednesday], an Israeli soldier was convicted of manslaughter in the shooting death of a wounded Palestinian. The military judges found it was a case of revenge. What kind of a reaction is there in Israel to this? LR: I think most Israelis, they did not agree with what this soldier was doing. It was right that he was convicted because he did an awful thing. Someone has to stop, to stop this revenge circle. I have many Arab friends. Good friends. When we are sitting together and talking and drinking, we're just people. And I think politicians, they don't want to have peace. HM: How hopeful are you that Israelis and Palestinians can ultimately live peacefully? LR: I'm not so optimistic. But as a Jew, in the 1940s, there was the Holocaust. But now the Germans and Israelis are very good friends. So maybe one day, 50 years from now, all the hatred we have between Israelis and Palestinians will vanish and we will live in peace. This interview has been edited for length and clarity. 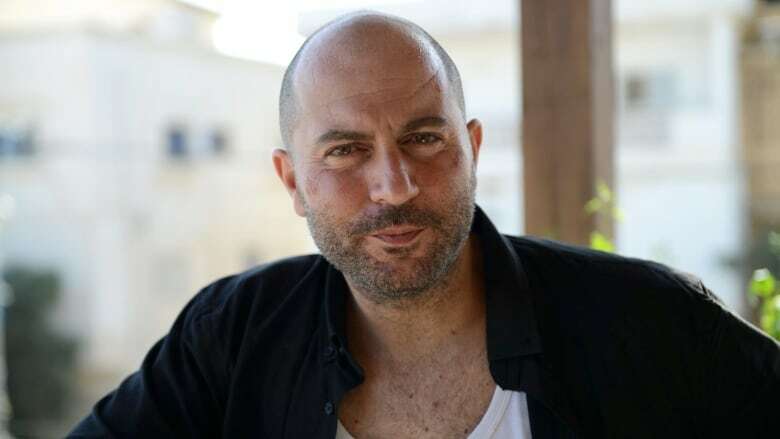 To learn more about the story behind Fauda, listen to our full interview with Lior Raz.